Here at Providence Recovery Place, we think that long-term addiction care should be available to everyone and that we all deserve a second chance to have a life packed with joy and accomplishment. 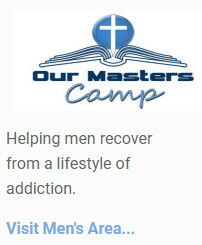 That’s why our mission is to offer one of the most affordable recovery experiences in the Country to both Men and Women seeking to heal from chemical addiction, behavior addiction, and sin addiction. You can find programs from around the country for the treatment of drug, alcohol or other addictions. Here are just a few of the reasons to look outside your home state of Michigan and consider a treatment program by Providence Recovery Place. Leaving your home for treatment protects your confidentiality by giving you an additional layer of privacy. No one has to know you’re here. You’ll have peace of mind. 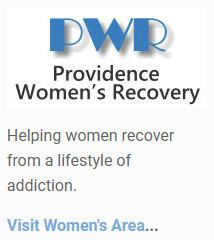 For anyone pursuing a rehab method of support with a spiritual foundation, Providence Recovery Place can help. For people coming from a Christian background, our recovery programs will particularly greet your core values and beliefs. You will find yourself surrounded by a community of like-minded people who can understand your struggles and help you find faith in yourself again. Even though you’ve gotten off track and lost some of your Christian roots, Providence Recovery Place can help you find and return to your faith. Alcohol and drug addiction treatment programs are designed to assist you escape a compulsive cycle of alcohol or drug abuse that represents a loss of self-control. Treatment programs teach you effective ways to function in everyday life without using your substance of choice. A large component of substance use treatment focuses on being completely honest with yourself, accepting reality, and exploring the feelings, thoughts, and beliefs that drove your substance use. A good treatment program helps you take a look at your situation realistically, adapt more functional and realistic beliefs, learn stress management and coping techniques, and help you develop positive relationships. Treatment is often required to address drug or alcoholism because, quite simply, it’s very difficult to successfully quit by yourself. You will need guidance to understand the reasons for your behavior, to learn alternatives that can help you change your behavior, and to be guided into a new and healthy lifestyle. Another reason drug and alcohol treatment is vital is that it educates you on how to functionally handle your everyday issues without turning to drugs or alcohol– something incredibly difficult to discover how to do on your own. Michigan is a midwestern U.S. state bordering 4 of the Great Lakes. It contains more than 11,000 inland lakes, spread across its lower and upper peninsulas. Its largest city, Detroit, is famed as the seat of the U.S. auto industry, which inspired Diego Rivera’s murals at the Detroit Institute of Arts. Also in Detroit is Hitsville U.S.A., original headquarters of the Motown record company. It is most important that you know how the program will fit your individual needs. Not every program is right for every single addict, and even if you are seeking affordable care does not completely limit your options. Take some time to find a center that has a treatment model you will be comfy with, which offers services that you think will give you the best chance of a successful recovery. If you plan on attending a short-term rehab because of cost restrictions in Michigan, ensure that they offer a comprehensive discharge plan, and some kind of aftercare. With Providence Recovery Place you will find a quality treatment longer-term “90 day” solution and soon be on the road to recovery from drug addiction.